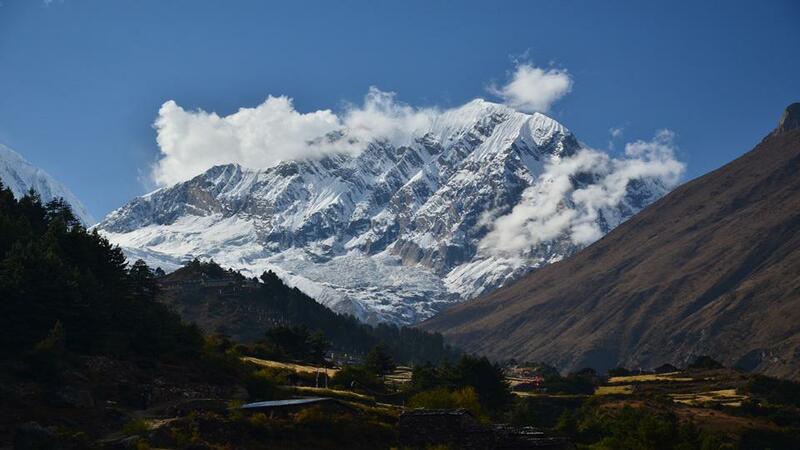 Manaslu Larke Pass Trekking is an exciting Himalayan journey in the western region of Nepal, which combines Manaslu Circuit Trekking and the begging trails of the Annapurna High Pass Trekking. The route of this trekking was opened lately in 1992. Mostly, the trek leads through the untouched region of Manaslu Conservation Area, full of cultural and natural bio-diversity. 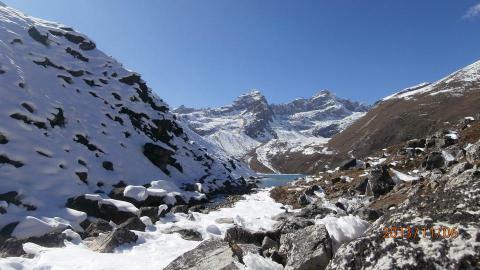 The Larke Pass at 5160m offers the stunning Himalayan views including Mt. 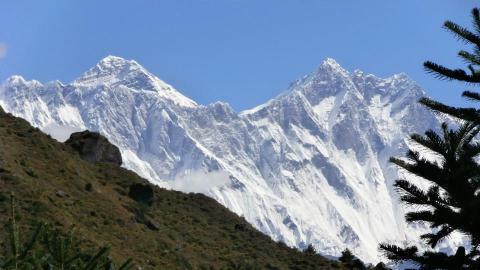 Manaslu, the world's seventh highest peak. The trail covers sub-tropical to the alpine flora and fauna in the Manaslu region. The Manaslu Larke Pass Trekking, also popular as the Manaslu Circuit Trekking starts from the Soti Khola, the northern part of Gorkha. The trek mostly follows the ridge of the Budhi Gandaki River bank and cross the suspension bridge over it. The ethnic villages, distinct customs and traditional lifestyles of the local people attract the trekkers of the Manaslu circuit to make them Nepal Trekking Vacations spectacular and outstanding. 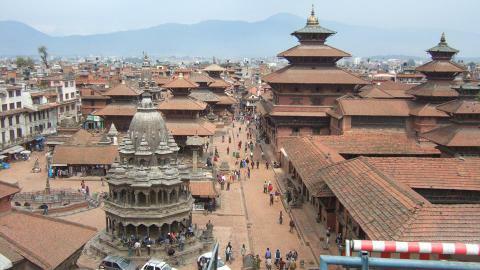 Some of the beautiful settlements are Namrung, Samagaon, Bimtang and others. The hike on the rest day at Sama Gaon is helpful for the trekkers to acclimatize and physically fit to trek in the alpine region. A steep climb to Larkya La pass (5160m) is rewarded by dramatic views of the Manaslu, Annapurna, Dhaulagiri, Ganesh Himal, frozen Lakes and Glaciers. Descend to the Bimthang and trek further to the Annapurna circuit trail combine a unique environment, Buddhist cultural heritages, which is remarkably wealthy in bio-diversity, flora and fauna. The trek ends at Syange and drives further in Kathmandu. 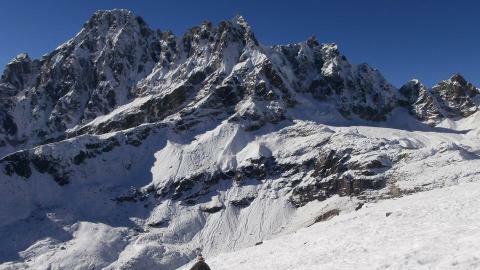 Spring and autumn are the best seasons for the Manaslu Larke Pass Trekking. Namaste Treks Company organizes wonderful trekking at Manaslu circuit trekking with expert guides and good management. Please, let us organize your Manaslu trekking plan and get excellent services from our experienced team. Please, contact us for more information about Manaslu Circuit Trekking. Flora and fauna in Manaslu Conservation Area. 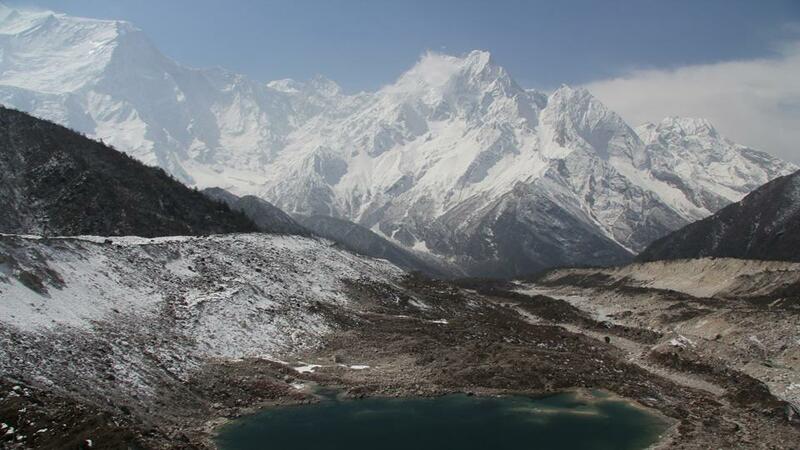 Himalayan views of Manaslu, Annapurna, Ganesh Himal and frozen Lakes. Connect with the classic Annapurna Circuit trail. Day 03: Drive from Kathmandu to Sotikhola (750m). Day 04: Sothikhola to Machhakhola (890m). Day 09: Acclimatization at Sama Gompa. Day 10: Sama Gaun to Samdo. After breakfast early in the morning, we drive from Kathmandu to Sotikhola. It is a long drive by the Ridge of Trishuli River. On the way, we can s several Himalayan views, forests and terraced rice fields. O/N at Lodge. Today, we walk gradually following the trail and reach Lapubesi Valley. We cross the suspension bridge over stream and the Budhigandaki River. Heading through the sub-tropical forest and the terraced rice fields, we reach to Machha Khola. O/N at Lodge. Day 05: Machhakhola to Jagat. Today, we walk through the interesting communities and farm lands. After crossing the bridge over Budhi Gandaki River, we reach to the Khobesi and continually to Tatopani. We can enjoy the natural hot spring in this village then we walk to the Dovan through the rugged trail. After descending the Yara Khola, a short walk leads us to the Jagat. O/N at Lodge. 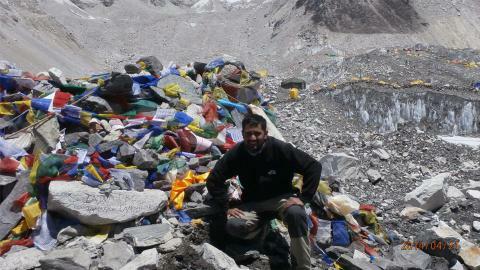 Day 06: Jagat to Deng (1960m). With the breathtaking views of Sringi Himal (7187m), we walk towards the Budhigandaki River and cross the suspension bridge. Crossing the Farming lands, we reach at the Ghat Khola and enter into the Philim village. After descending to the Ekle Bhatti, gradually we reach to the Deng. O/N at Lodge. Day 07: Deng to Namrung (2700m). Today, we walk to the Namrung village from Deng. We get more panoramic views of mountains and green hills. After walking through the lush forest, we reach to the stream and cross the bridge. 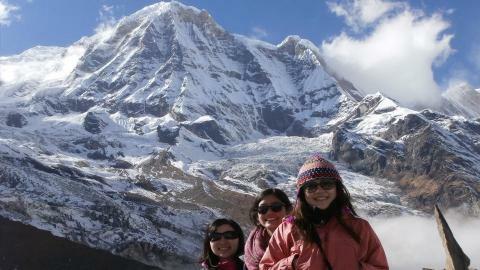 The views of Kutang, Pang Puchin Manslu and Simang Himal are awesome on the background. Slowly, we reach to the Namrung. O/N at Lodge. 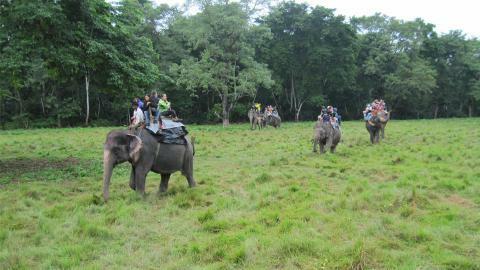 Today, we trek to the Samagaon from Namrung. First we cross the Lho village, which is surrounded by the Monastery, Chhortens and Mani walls. It is a different feeling to cross the local farm lands and gorges made by small streams. Continually, we reach Sama Gaon. O/N at Lodge. Day 09: Acclimatization at Sama Gaon. On our acclimatization day at Sama Gaon, we hike around the village and visit the nearby monastery and Chhortens. We explore the Buddhist lifestyles that are traditional and rustic. The local people do traditional form of farming as of barley and potatoes. O/N at Lodge. Day 10: Sama Gaon to Samdo. After breakfast, we trek to Samdo. We continually hike up towards the high altitude today. The trail is more tough and rugged now we reach the village around lunch time. The views of the mountains and barren landscape become fantastic. O/N at Lodge. Day 11: Trek from Samdo to Larkya Guest House (4200m). After breakfast, we walk towards the Gyala Khola and cross the bridge over it. Then we climb up to the historical busy market place known as Larke market. 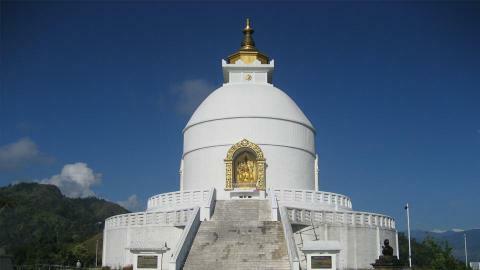 It is prevailed with Tibetan style Gompa and Chhortens. Continually, we walk towards the Larke Guest House. O/N at Lodge. On our huge day, we climb up to the Larke La in the early morning after having breakfast. It is a windy and chill trail near the Larke Glacier. It is a challenging trail of windy and rugged climb up. 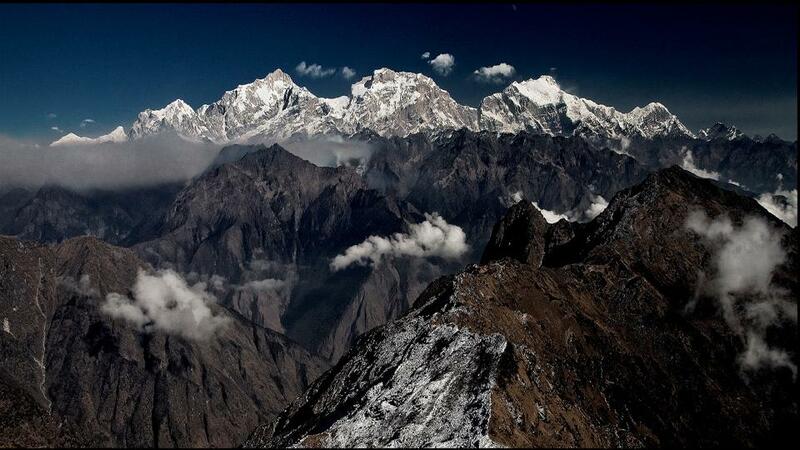 The Larke top offers beautiful Himalayan range of Mt. Manaslu, Annapurna, Lamjung, Himlung Himalayas along withGlaciers and frozen Lakes. Then we trek down all the way to Bimthang. O/N at Lodge. Today, we descend to the Dudh Khola with the scenic views of Lamjung and Manaslu Himalayan range. Crossing the lush forest of rhododendron and pine forest, we reach to the Karche village. Heading through the bank of the River, we reach to Tilije. O/N at Lodge. After breakfast, we walk on the way that is stone paved and frequent ascending and descending. It leads us to the Thonje village, which is nicely decorated with Prayer flag, Chhortens and Mani walls. We meet the trail of classic Annapurna Circuit trail at Dharapani. After we check-in the Acap counter, we walk gradually to the Tal. O/N at Lodge. Crossing the Marshyangdi Khola, we head further to the trail of Chyamje. It goes through the rhododendron and pine forests. The view of local landscape is amazing. Gradually, we reach at the Syange. O/N at Lodge. In the morning, we drive from Syange to Kathmandu via Besisahar of Lamjung district. 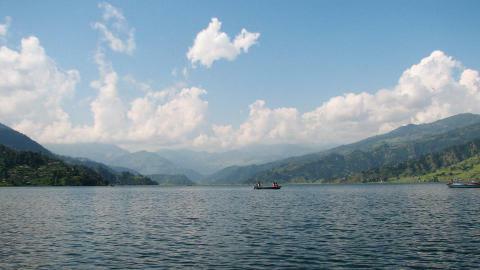 Then we join to the Kathmandu Pokhara highway and continually drive through the ridge of the Trishuli River. We reach Kathmandu and transfer to the hotel. O/N at Hotel. Kathmandu –Sotikhola and Syange –Kathmandu Jeep drive. TIMS Card, Manaslu and Annapurna Conservation Area entry permit.